Used heavy duty trolley for carpets. 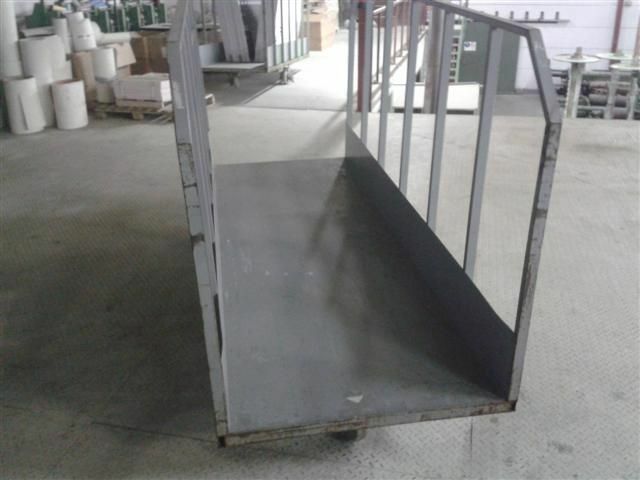 Heavy duty carpet trolley's for sale. Max weight is 1200 kg. 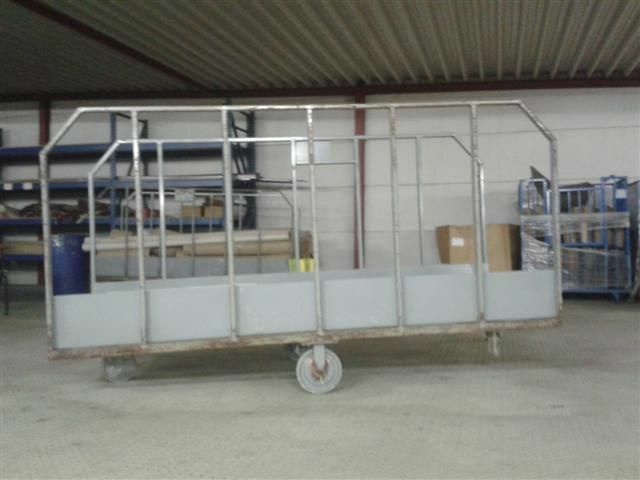 The carpet trolley has 4 special anti dust wheels. They are available in 3 and 4 meter long. Perfect to put behind weaving machinery to transport carpets. We can ship worldwide from our warehouse in Belgium. 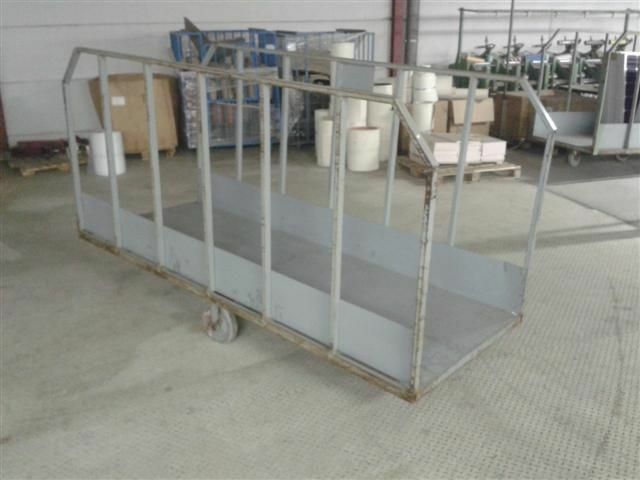 Because they are already used we offer a better price than when you buy a new heavy duty carpet trolley, can be refurbished on request.